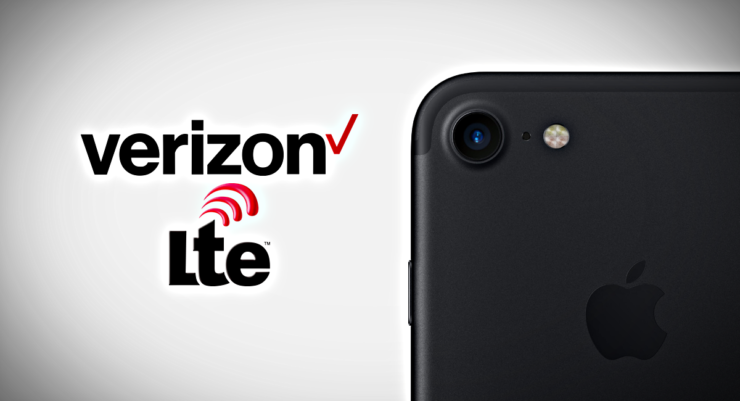 Here’s how to fix iPhone 7 Verizon LTE issues in a few simple steps. The issue affects the latest iPhone 7 and iPhone 7 Plus handsets only. A little over a week back it came to public knowledge that iPhone 7 and iPhone 7 Plus users were having LTE connectivity issues on Verizon. The devices would function normally on LTE for a while but would jump back to 1x or 3G connectivity. Once the cellular rollover had taken place, the devices would fail to connect back to Verizon’s LTE network. But of course, putting the phone in airplane mode or giving it a quick restart fixed the issue immediately but temporarily. Today though, we will show you how you can fix the issue for good, but you will lose Voice over LTE (VoLTE). But in return you’ll get stable LTE connectivity for data. 1. On your iPhone 7 or iPhone 7 Plus, launch the Settings app. 2. Now tap on Cellular. 3. Select Cellular Data Options. 4. Now enable LTE, then select Data Only. With Voice over LTE turned off, you’ll notice your iPhone 7 and iPhone 7 Plus will remain connected to Verizon’s network, with no fallbacks to 3G or 1x whatsoever. But keep one thing in mind: with this fix in place, your device won’t be able to make phone calls over LTE, it’ll explicitly use that feature for data only, as set in the last step of the above tutorial. Of course, Apple and Verizon both are well aware of the issue and are working together for a fix. Whether that fix arrives as a carrier update or an update to iOS remains to be seen. But whenever it drops for everyone, we will let our users know about it. Just like any other flagship handset, the iPhone 7 and iPhone 7 Plus is having its fair share of issues. Obviously they will be resolved over time using updates and whatnot. The point here is: it’s best for everyone to exercise patience when such issues arise. The companies behind the service or product you’re using are always aware of what is going on, but it’s only a matter of time things are patched up in the most reliable way possible. Wrapping things up – if you’re on Verizon and have been facing LTE related issues, then do give the above fix a try. Also let us know in the comments section how the fix worked out for you.